God’s people were thirsty. They complained and their prophet prayed. God did a miracle to quench them (Exodus 15:25). He told them to obey and even gave them an oasis. Wow! That’s just about when God’s people ran out of food. When they should have still been thanking God for quenching their thirst, they began to complain of their hunger. They grumbled. They wished they had stayed enslaved. They said they would rather have temporary food than forever freedom. They accused Moses and Aaron and maliciously charged them with trying to kill them. What an outrage! What absolute absurdity! These people are veritably impossible. They simply refuse to trust God. It is evidenced by their refusal to trust his prophet. God is not threatened by their ridiculous accusations and mistrust. His plan? Hey, Moses…watch this. Hey, Aaron…watch me bless them. Don’t worry about their crazy slander. It is not you they are rejecting, it’s me. But wait; watch. I am about to rain down perfect, proportioned blessing. The only way I can prove them is by giving them only enough for each day. That way they can’t hoard my blessings or stockpile them out of fear. They will learn to trust me because they will have nothing else to do. They will know I brought them out of slavery. They will see my glory. After God speaks to Moses, Aaron has a message for the people. Hey, guys. God heard you. He heard you complaining about me. He said it isn’t me you’re disgusted with. He knows it’s him. Don’t worry. Come close to God. He is about to bless you. And Moses, by the way, I heard them. I heard everything they said about you. I heard their grumbling and their false accusations against you. Don’t think I didn’t hear that. I heard them. I see you. It’s ok. Tell them I am going to feed them. They are going to know I am the Lord your God. Jesus, you are the living bread that came down from heaven. Give us this day our daily portion. Prove us in this wilderness. Deliver us from evil. Forgive us for our complaints; our unbelief; our unreasonableness. We thirst for you. We hunger for you. Forgive us for our lack of trust in you. Help us and feed us again tomorrow, El Shaddai. God is leading. God is leading his people very specifically. He has delivered them from the the heavy hand of an unjust master and he has taken them into the wilderness. With a cloud by day and a fire by night, God has been ever so faithful to get them where they need to be. He further cares for them by speaking very clearly the way in which they must go to his prophet, Moses. Now, they have come to a place where the wilderness is behind them, rocky treachery is beside them, and the Red Sea is in front of them. Apart from God’s direct orders on where to go, the cloud, the fire, there would have been little reason to believe this could possibly be the right way. It was long, it was foreign, and it did not make logical sense. So, here Moses is instructed to encamp in front of the Red Sea. God does not just tell Moses where to go. He tells him why to go there. God is about to take his people through the Red Sea. He is about to show his power and sovereignty through both mercy and wrath. As his people walk through the sea, their enemies will be destroyed, both at the very same time by the mighty hand of God. Talk about being used! These people were about to be the very means by which their numerous, strong, relentless enemies were proven wrong once and for all. They were the means by which God chose to get his glory. That is so awesome!!! Still, when you’re up against a wall…well, a sea, with the most powerful army of the known world in pursuit, it is hard not to freak out in fear. It really shouldn’t have been that hard to trust God. I mean, these punks had just watched a deliverer come for them. They’d just seen ten disastrous plagues strike Egypt. They just exited their homes freely and had just been handed all the gold and silver of Egypt. They had been given their own personal cloud. They’d been given their own personal fire. They had a prophet telling them exactly where to go and what to do. They were told beforehand that they would be pursued because God was hardening the hearts of their enemies. So, seeing that army approach should not have been the least bit surprising. Nor should it have been disheartening or terrifying in any way. But, these are sheep and sheep are not that smart. Still, God did exactly as he said he would do. How gracious of him to tell Moses first so he might understand the purpose of this very peculiar path they were being led on. They go and they camp out by the water…and…wait. Be silent. Be silent!!! Irrational fear, be silent! Blasphemous anxiety, be silent! 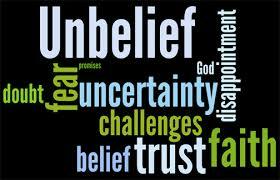 Ungodly unbelief, be silent! Those things do not come from God. They come from Satan. We must command them silent if we expect God’s deliverance. When God is leading our lives, we will doubtless go to places we never could have imagined and take detours we never would have expected. All the while, God faithfully gives us all the information we truly need. Usually it is simply this: This is for my glory. You are the very means I am using to make myself known. Be it in mercy or in wrath, I will be known as the One, True God. So, Go. Wait. Trust. I am fighting for you. Silence your fear, stand firm, and watch as I walk you through the impossible. Apparently the fifteenth declaration from a frightened wife while driving ever slower on an icy, snow covered road in a 4×4 is the point at which a young husband’s patience runs completely out. He floors the truck, does a 180 degree doughnut, and lands us in a ditch – a ditch, mind you, that he immediately proceeds to pull back out of with the kind of great skill and ease that is known only to resourceful, self-made men. That was over a decade ago. I still bring it up when I’m the passenger on snowy days. He still gets aggravated with me when I tell him I’m scared as he drives 30 miles per hour over thoroughly plowed and salted roads. Fear. I struggle with fear. Sometimes irrational; other times justified; always sinful – rooted in unbelief and distrust. I sit awake long after midnight wondering. Why am I afraid? Why do I fear over fragments of falsehood and figments of my own making? Why is it so hard to take words and what if’s at face value? Why can’t I just rest knowing that whatever happens is exactly what God is willing. Why don’t I trust the truth? This past weekend we spent an hour on the bunny slope and decided it was time to test our snow legs on the real ski slopes. After not exiting the lift on cue, my 7 year old picked up her pride and whisked her way straight down without blinking. On the contrary, on her skis at the top of the summit looking down, my 10 year old looked like I felt in that old truck so long ago. It was written all over her face in flaring redness and tears. Fear. Crippling, feel it from head to feet, fiasco feeding fear. One hour later, we finally found the base of the mountain. 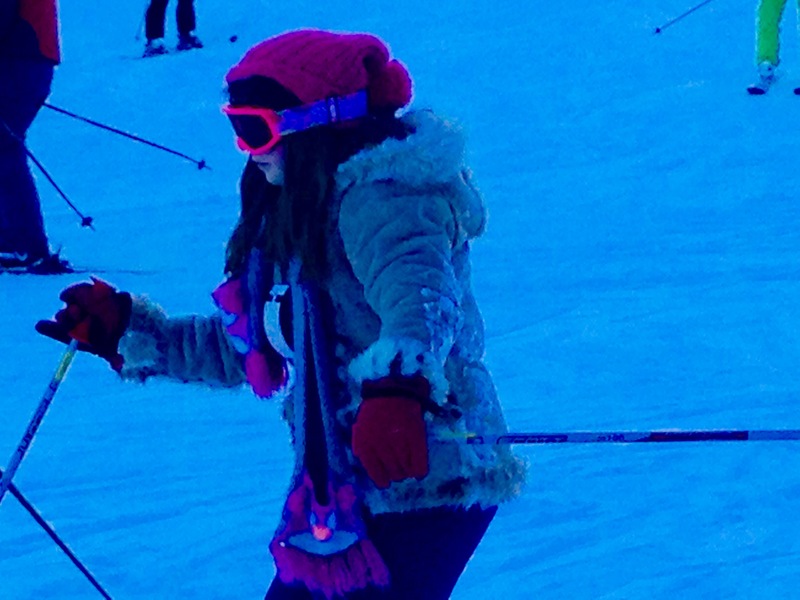 It’s not that Mia couldn’t ski. It’s that she was afraid to. And fear makes little girls like us fail every time. “If only she knew,” I thought. If only she knew that she can do this. She doesn’t trust herself. She doesn’t trust me. She doesn’t trust her daddy. She has no confidence. She believes she will fail. She can see no scenario in which she will succeed without severe pain and suffering. She doesn’t know what I know. I know she can do it. I know she’ll be ok. I know there’s no reason to fear this hill because I know daddy won’t let her veer off the path. I know I won’t leave her side. But all she can think is that she will fall. She will speed out of control; she will land in the trees; she will will be left alone with no way down. She feels trapped; enslaved to the expectations of others and the situation that lies in front of her. No amount of encouragement can break through her wall of fear. She does not believe me no matter what I say. Her vote has been cast and it is against herself. Even if I were to pack her up and carry her down the mountain she would still be angry – at herself, her failure, her fear, and her father for plopping her in this predicament. Well, like I said, we were able to coax Mia down the mountain inch by inch, eventually. But I fear (ironic?) that I am still standing on the tippie top of many of my own – the most ridiculous of which has to do with prayer. Prayer. So many times prayer seems so tumultuous to me. The place of goodness and peace is surrounded by a foreboding angst and I stand at the precipice stalling. I do not enter. Will my Father fail me? Surely not. My false beliefs are frustrating me. My fear befriends me as my feelings dissuade any attempts at freedom. I close up; I stay silent; I run away from soundness and I sleep in my unspiritual cell. Am I really safe here? How absurd. Little wonder why the mechanic sometimes floors it in frustration. My fear is often nothing short of tomfoolery. The preacher tells me that whoever hears the truth and does not do it is a fool. Immediately I know. I know what I must do. Surely I can pray. I can be vulnerable without freaking out on myself. I can fall down in front of Him and know I have nothing to fear. He will not be surprised by my shortcomings so easily seen on the slippery slope of spoken words. He will not leave me alone or let me veer off the path of prayer. I will not have control, but He will. I will trust Him and we will make it to the bottom of every unsafe situation. Because He is there, I have nothing to fear. Because He is in control, I have nothing to fear. Because He is good, I have nothing to fear. Because He is trustworthy, I have nothing to fear. Because He loves me, I have nothing to fear. I will stop believing He is trying to kill me. I will allow Him to show me that He is a much better driver than I am. I will trust Him. I will pray for grace to trust him more. Amen. Don’t get me wrong, it would surely be nice to buy anything we ever wanted and be able to bless other people who are in need. The truth is – when I really think about it – I have to admit that I already have everything I ever wanted. I couldn’t really ask for anything more. And if I’m not blessing other people in need out of my abundance now, I surely won’t do it then. What about…a new house? Everyone wants to build a dream house, right? I don’t know. Maybe for a second home. I like my humble home. I wouldn’t want to move. This is where all my memories of being newlyweds, new parents, learners, and lovers are. Not even…a new car? My husband bought me the vintage vehicle I always wanted for Valentine’s Day last year. He bought me a new SUV for our anniversary. He bought me a street bike just because I wanted one. Besides, who needs a new car when you’re married to a gearhead? Not me. We have lots of cars…or at least pieces of them waiting to be put together. Our whole life is cars. I have the best husband in the world, beautiful, healthy children, my mom helping me all the time, full cupboards, more clothing than I’ll ever need, and on and on and on and on. Smugly satisfied with myself, my internal dialogue assures me that I have mastered the art of contentment. “I am content,” I think to myself. Perhaps it much more likely that I am just well fed and clothed. I want for nothing. Enter: Holy Spirit. Forget the lottery. Fast forward to Sunday morning singing hymns. The words propel me to a place where I am letting go of the worldly things, sacrificially giving, and giving up what is mine for the good of others in need. I feel hollow; pretentious; unreal; fake; hypocritical. In Bible study we read about the early church and their willingness to sell all their possessions – even their own homes – in order to provide for the needs of others. …and here I am talking about what I could do if I just had more, more, more, more. Even the “If I won I’d give” argument is silenced and laid bare before a holy God. If you were good, you would give far more of your greater goods now. So speaks the voice of conviction. My husband and I have a disagreement over something I want. I start to cry. I quickly direct my anger upward. Suddenly what God is giving is no longer good enough. I darken the glory of both the giver and what he gave by dwelling on what he did not. I question the truth. I dredge up unbelief. I dance on the doorstep of despair. I sing a dirge to my faith. I grovel in grief over nothing more than my own greed. Greed. I am painfully greedy. 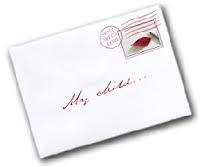 As he begins to open my eyes to the exceeding selfishness I so often exhibit I am alarmed; panic-stricken; confused. Could I really be so deceived? How could I not see that the fault for my foolish frustration lay in my very own lap? Idols. Does my “contentment” come from idols or does it come from God? I fear. I fear fiercely because I cannot answer faithfully. The revelation of my folly is weighty. I feel lost in the deepness of my fault. My erring heart bows its head in shame and I confess. I apologize. I ask forgiveness. My father is faithful to forgive. Still, I fear. Fear gives way to more fear and I wonder how I might overcome the ubiquitous malignancy of myself. No lottery winnings could buy what I truly need. After a stubborn hiatus, I pray. Morning breaks and the wisdom of God falls fitted into my fisted hands. He opens them. It is free. I am free; forgiven; fearless; full of faith. No more deceived by my former feelings or the condemnation of my enemy…at least for today. The prayers of God’s people prevail and he saves me from myself once again. These unexpected hardships have already broken Moses. In chapter 6, God answers Moses’ prayers of exasperation and accusation with grace. Moses, tell them. Tell them again that I am coming to bring them out of slavery. Tell them I am the Lord. Tell them I will deliver them. Tell them I will redeem them. Tell them I am choosing them – that I am their God and they are my people. Tell them they will know me and I will keep my promise to them. Wow. This is some good news! Especially for tired, burdened, oppressed slaves! How often the discouragement of hardships causes us to disbelieve God’s promises! When the whole world is saying, “No” “Impossible” “Give up” it is extremely hard to believe God’s promises of “Yes” “All things are possible” “Don’t give up.” But we must! Because children of God walk by faith, not by sight. Leaders for God walk by faith, not by sight. Christians walk by faith, not by sight. He is the Lord – here called El-Shaddai – a God all sufficient; a God that is enough and will be so. He has made a promise to us – his people. He is not deaf to our prayers and needs. He hears our cries for help. He remembers his promise and will keep it. Child, do not be discouraged. Leader, do not be discouraged. Christian, do not be discouraged. Leader, tell them He is the Lord. Tell them again that He is coming. Tell them He will deliver them. Tell them He will redeem them. Tell them He is choosing them – that He is their God and they are His people. Tell them they will know Him and He will keep his promises to them. Child, believe. Christian, believe. That’s the good news. Do not be discouraged if they do not believe you at first. Just make sure you believe God. Be encouraged because we know how the story ends. I wrote on Philippians 4:2-9 this morning. I covered all the bases that a 30-something un-ordained, amateur writing lay lady with the help of Matthew Henry might be expected to. The message was clear. It was truthful and as accurate as can be expected from a mere flawed human being equipped with a one track mind set on sharing the gospel and a few scattered prayers for incite and wisdom. Then, God said no. No sooner did the last stroke of my pen hit the paper than I heard him say, not today. No regurgitation of facts. Today it’s personal. In fact, it’s always personal. Make it so. Lori, this is urgent. I beg you to listen to me. The women around you are your sisters. The men around you are your brothers. You are all Christians. You are all serving the Lord the best way you know how. You must agree. Allow my chosen leader to help you get along. In order to do so, there are a couple things I need you to do. These are not suggestions. They are commands. Rejoice. Rejoice, always. No matter what happens, rejoice. If someone offends you, rejoice. If they ignore you, rejoice. If they take offense when none was given, rejoice. If you feel taken advantage of, excluded, used, abused, or ripped off in any way by anyone inside or outside the church, rejoice. Lori, I’m not asking you. I’m telling you. Rejoice. While you’re rejoicing for the goodness you’ve been given, but do not, by any means, deserve, I need you to be reasonable. Your feelings must not get in the way of the generosity, the forbearance, the long-suffering nature of the love that I have called you to. There is absolutely no room for being high strung, irate, self-interested, or over bearing for any reason. You cannot let offenses or feelings trump my call to be reasonable with everyone at all times. This is not a suggestion. It’s a command. I know what you’re going to say next. You’re going to tell me how if you do these two things under the load of stress I’ve provided for your spiritual growth that you will internalize all of the uncertainty and begin to worry about how it’s all going to turn out. You’re going to pretend to rejoice outwardly so I will think you’re obeying. You’re going to be outwardly kind and peaceable with those who’ve hurt you but also allow a root of bitterness to grow inside over their offenses. That’s not going to work, Lori. The reason is because anxiety, fear, and worry are not permitted inside my children. Under no circumstances will I allow these soul-robbing vices. Worry, fear, and anxiety are mine to keep. You cannot have them. You must pray if you are tempted by these evils. I’ll tell you what. Every time you start to feel anxious, worried, afraid, or angry about some injustice, I want you to tell me about how thankful you are for the things I’ve blessed you so abundantly with. I need you to not forget where you came from. I want you to remember who you would be right now without me. Am I faithful, Lori? Am I? I will give you peace. I will protect your heart. I will protect your mind. Nothing you can gain in the world will do that for you. Don’t forget who it is that’s talking to you. I AM. Before I go, I have one last instruction. I want you to think about only good things. I don’t want to see the evil done to you played out over and over in your mind today. I want you to think about me. I want you to think about how much I love you. I want you to remember what I did for you; what I do for you every single day. Look at your blessings. Look at my provision. Consider my sacrifice. Believe me. I am good. You are mine. There is no time to fret. We have too much to do, Lori! Look around! Imitate the righteous. Do whatever I say. There is little time left. Just listen. Obey me. I am holding out my hand. I am holding out my peace. I have promised to be with you and I cannot lie. I am faithful. Do not worry. Trust me. Ok. So maybe this isn’t a topic most people think about. Maybe it isn’t something that’s an issue for anyone besides me. 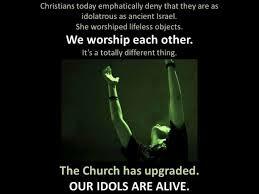 Or maybe most just don’t recognize idolatry when it rears its ugly head. In any case, placing my security, hope, joy, faith, and trust in my abilities, my spouse, my appearance, etc., etc. has been a struggle for me for the better part of nearly two decades now. Well, as long as I’ve been a Christian. Let me try to explain. Every single person who has ever come to Christ has come out of need. We need many, many things in this life that we are not capable of obtaining on our own. We try. And we try. And we try. But we always seem to come up short no matter how much money, entertainment, material possessions, relationships, or busyness we can possibly fill our lives with. Idol after idol after soul-starving idol. Continuously our gods fail. We simply cannot climb out of the hamster wheel of wants because it is always the next one which promises what the last lacked. For men, jobs and accomplishments are usually at the top of the idolatrous list. For women, though, idolatry is often even more close to the place God seeks to occupy: the heart. Yes, our idols also include material things and status symbols and I suppose I could write for days on the effects of our greed in those areas. Instead I would like to focus on the idolatry of relationships for a moment. What happens when Christ meets our need for a marriage relationship or a child…and we trade intimacy with Him for that blessing? What are we to do when we are called by God to please and to serve another human being but it feels almost like we do so in place of serving Him? Is that even possible? What you do to the least of these…right? We’ve all learned that it’s easy to do the right things in the wrong way. How can we know whether our service to another is bona fide service to God or whether it is idolatry? I’m asking, by the way. I try to recognize the facets of idolatry, but it often still leaves me second guessing myself. For example, there is no peace when your idol does not produce joy. On the contrary, there is perfect peace when God is in the right place even when others are difficult to deal with. Still, when sensitivity is your most dominant character trait, it is hard to know when you are practicing idolatry in a relationship or simply being both human and female. Is sensitivity a sinner’s excuse for idolatry? Or is love simply an emotion that is difficult to override? Where is the peace that passes all understanding? Surely it applies here as well as anywhere else. But sometimes we pray and pray and fast and study scripture and pray some more…and that peace still eludes us. Why? What if sacrificing for another person comes at the expense of sacrificing for God? Or vise versa? How do we know which is best? Or are they one in the same? What did Jesus really mean when he said “Truly, I say to you, there is no one who has left house or brothers or sisters or mother or father or children or lands, for my sake and for the gospel, who will not receive a hundredfold now in this time, houses and brothers and sisters and mothers and children and lands, with persecutions, and in the age to come eternal life” or “If anyone comes to me and does not hate his own father and mother and wife and children and brothers and sisters, yes, and even his own life, he cannot be my disciple” ? Why would God give us good things only to use them as a test to see whether we love him more? I. Don’t. Understand. Am I reading it all wrong? Perhaps. Conversations on the drive to church bits of pop culture trivia borrowed from the radio and pieces of our own motley collection of philosophies. How does Jesus satisfy us, though? And if he satisfies us, why do we so often seek satisfaction elsewhere? Do we not allow him to satisfy us or do we want things he never intended to give us? Health and wealth preachers will falsify the gospel and contend that he gives us what we want. We sure would like to believe that, too, but it simply isn’t true. Because it isn’t true, at least on this earth, we often seek fulfillment and happiness elsewhere – keeping Jesus in our pocket in case something goes wrong with our self-sufficient climb. The pastor warned us of seeking Christ for what we want instead of who he is. To be very honest, it concerns me. I evaluate myself over and over and over again. Do I love Jesus? Do I love him? Do I love him? Do I trust him? Do I believe him? Do I live like it? Do I? I imagine scenarios of loss and consider what I would really do. I know the right answers. I study them diligently. But do I have the faith it takes to carry them out if I’m called to? These are the thoughts that trouble and terrify me day after day. Am I accused by the Enemy or am I convicted by the Spirit? How can I not know? Why can I not tell? Answers too often escape me. Still, I know him. I hear him. I seek him. Therefore, I choose faith. As Piper calls it, faith in future grace. I do not understand right now. I do not know what I would do if x, y, or z happened to me. But I know that I desperately want God. Therefore, I will fear no evil. Father, keep me from the sin of idolatry.